Everyone does chicken wings and chicken nuggets, but maybe you just aren’t into chicken? 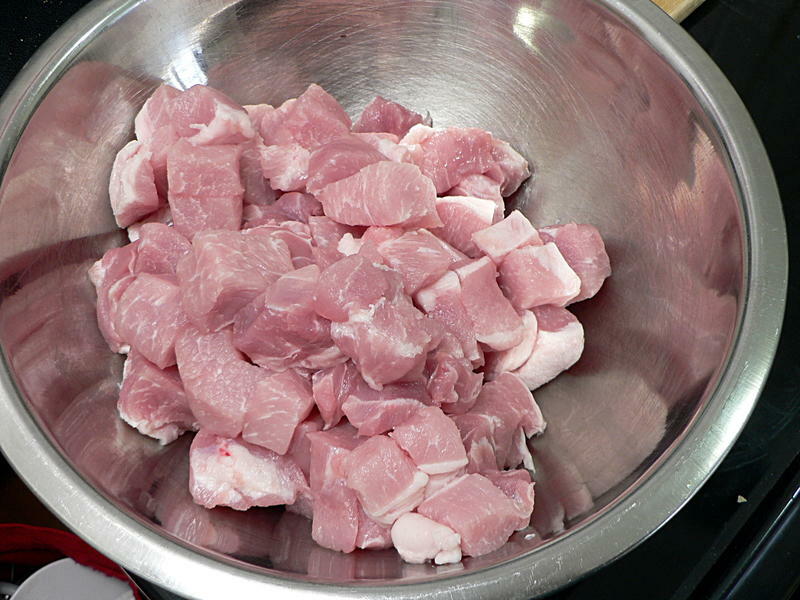 Don’t you deserve a shareable, dipable* little meat snack? You might recognize this technique from when I did the lamb nuggets. Yes, this idea came from that one. 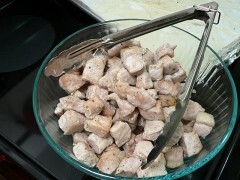 It’s the same way I do my chicken wings, just using different meats. 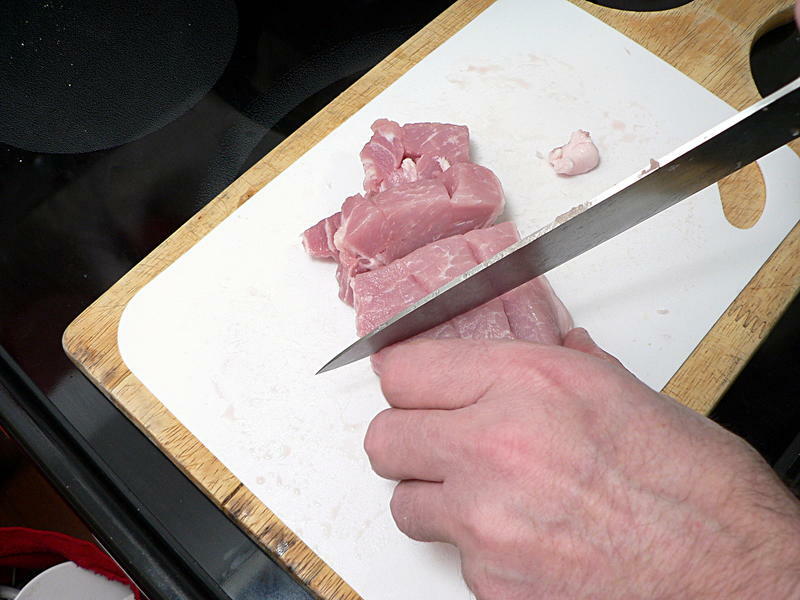 The key to this technique is using a cut that’s fairly lean. So as much as I love pork shoulder for pulled pork, it just wouldn’t work for this. 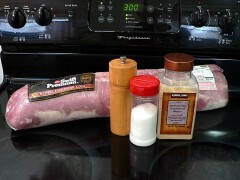 The pork loin in the picture above is about 10 pounds. 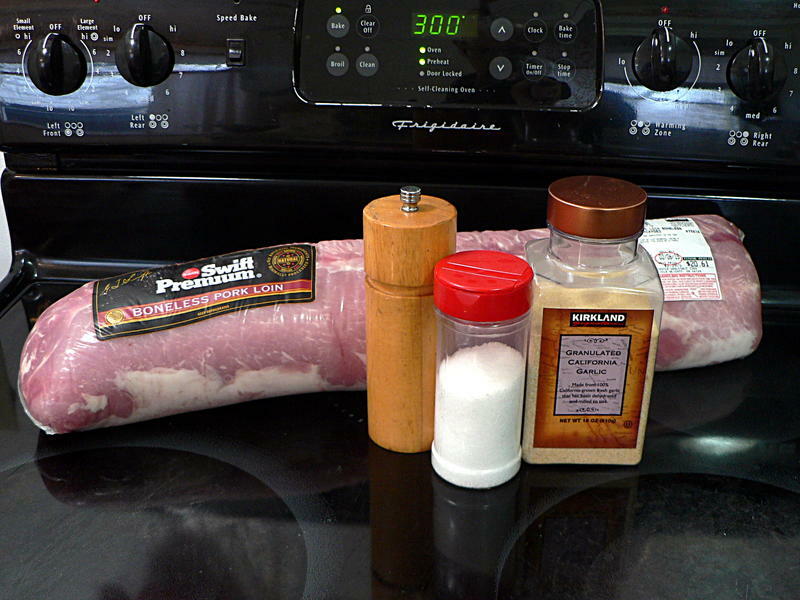 I’m only using about a third of it in this recipe. 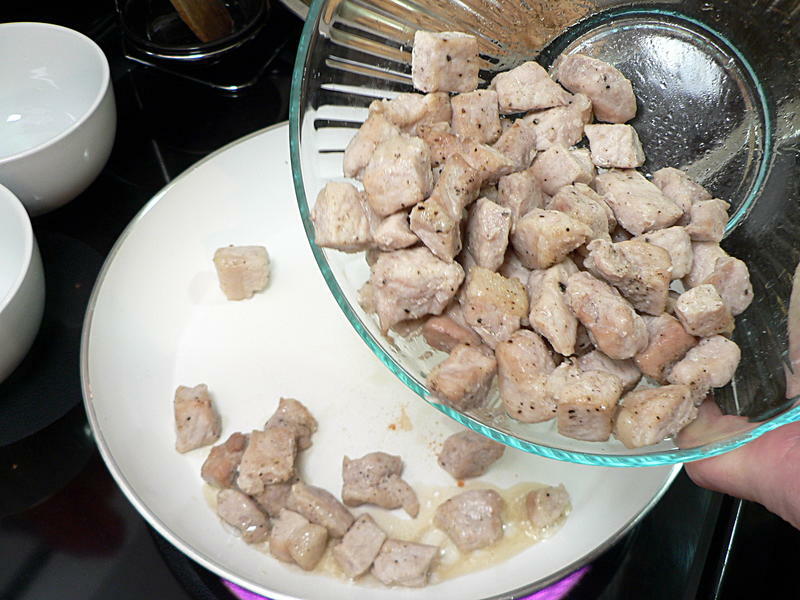 However much you plan to use, cut it into 1-inch thick chops, then into bite-size cubes. 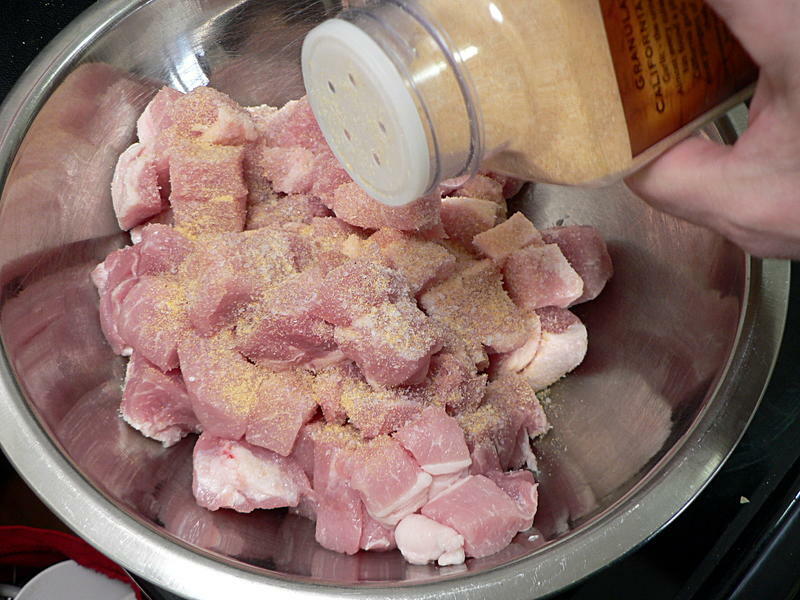 Season generously with salt, pepper and garlic and toss to make sure everything is covered. Spread the pieces on a baking sheet covered with foil and parchment. The foil makes cleanup easier, the parchment keeps it from sticking. 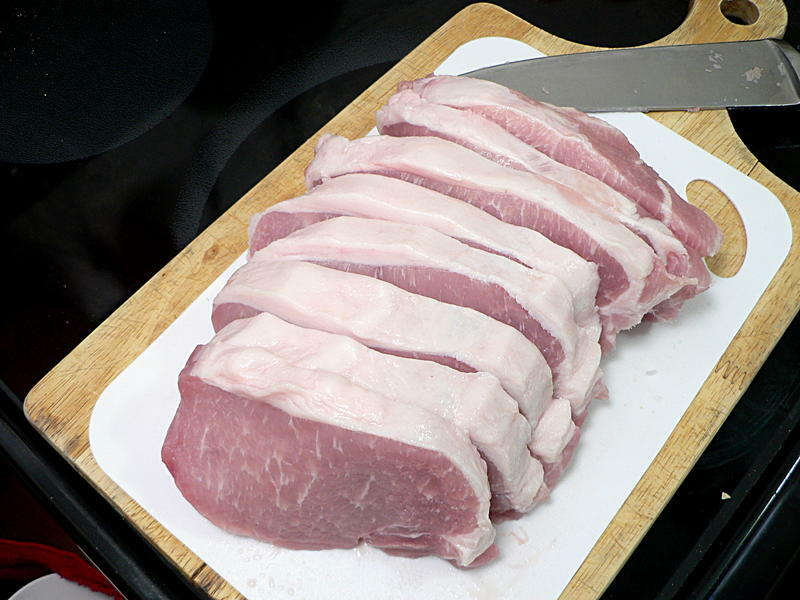 Roast in a 300° oven for 40-50 minutes, until the largest piece is no longer pink in the middle. 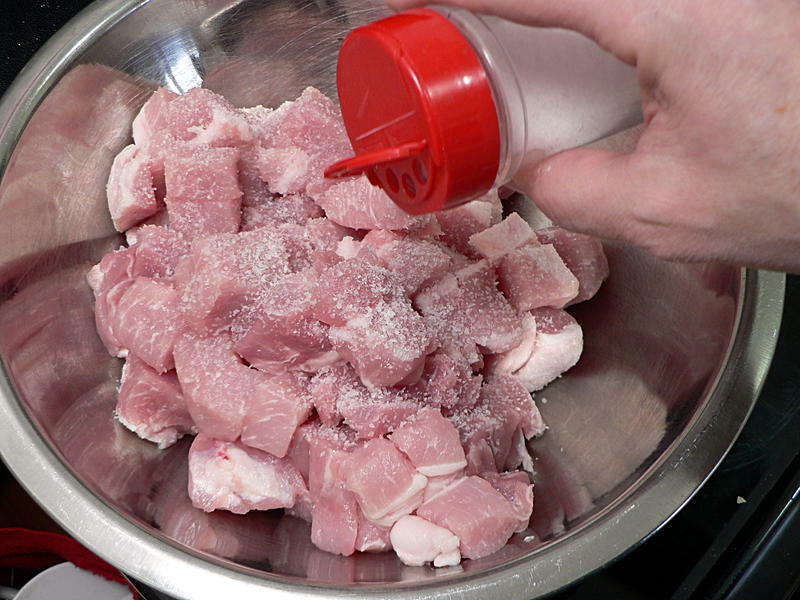 Remove all the nuggets to a separate bowl, and heat a frying pan over high heat with a little bacon fat in it. 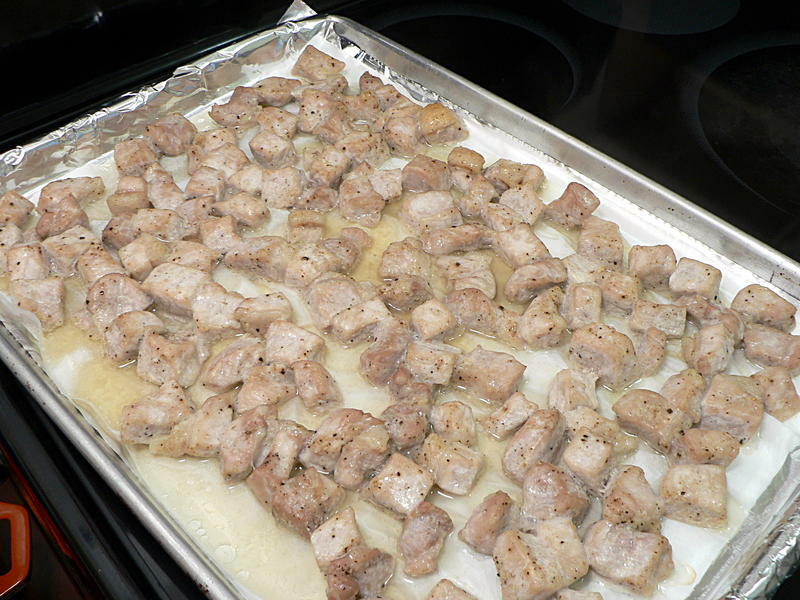 Put some of the nuggets in the pan, but don’t crowd it. 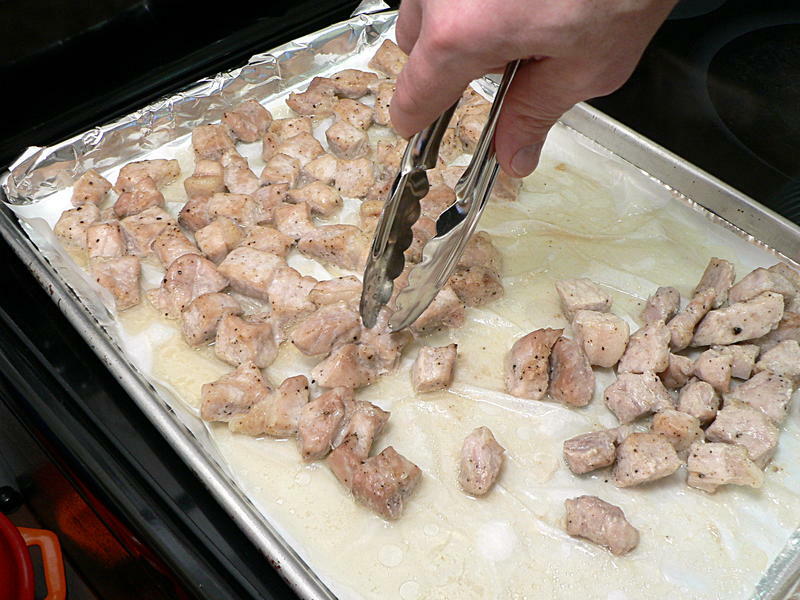 Toss them around until the edges are slightly browned. Here’s where you can really get creative. 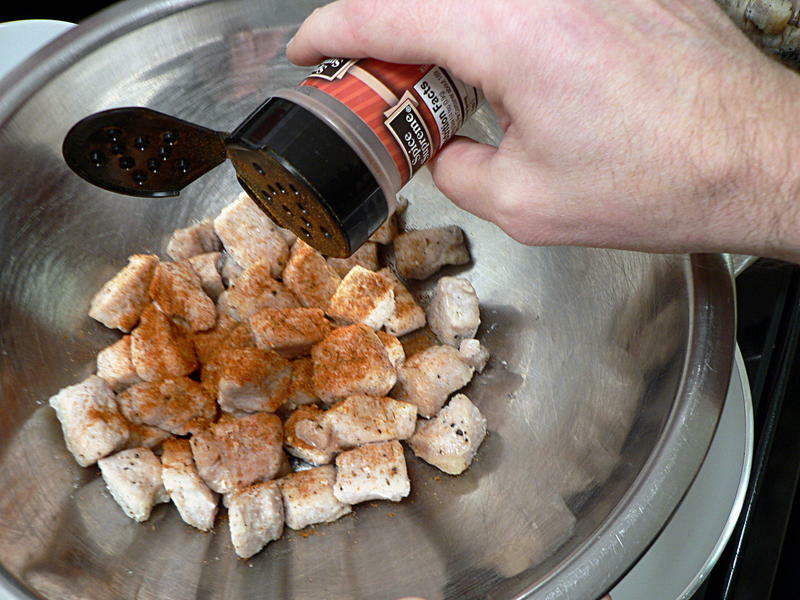 Before frying them up, toss the nuggets with a variety of dry rubs. Here I’m using cajun seasoning . I’ve also done chipotle, sweet barbecue and a few others. 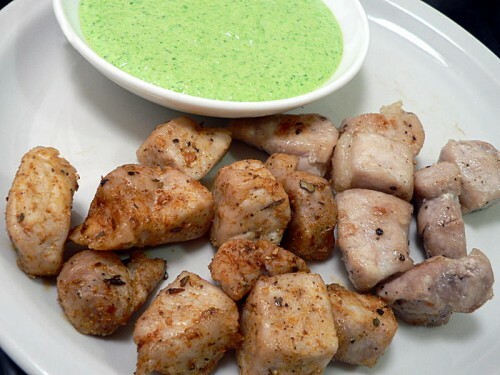 Serve with a variety of dips, like BBQ sauce, ranch, or the cool pea dip you see here. Cut the pork into 1-inch thick chops, then into bite-size cubes. 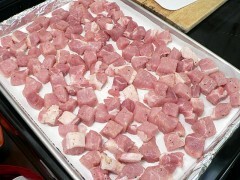 Spread the pieces on a baking sheet covered with foil and parchment. 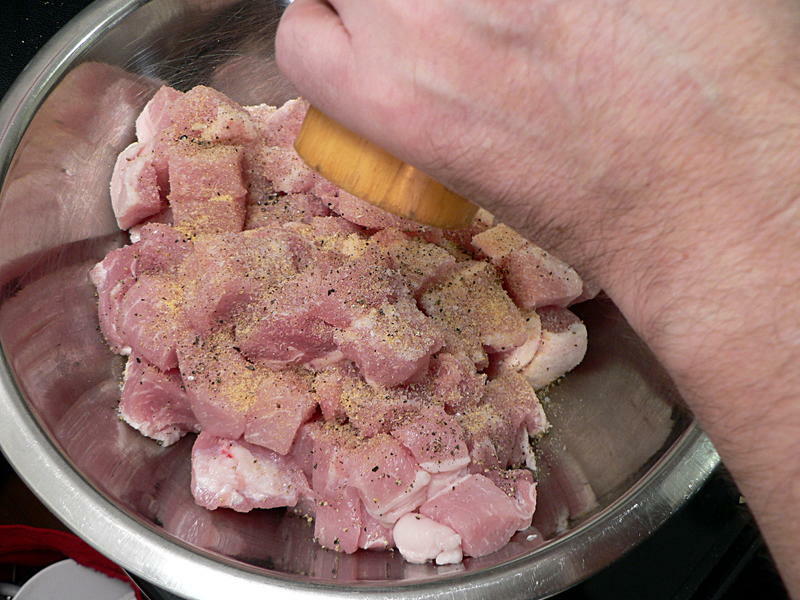 Optionally toss the nuggets with a variety of dry rubs before frying. 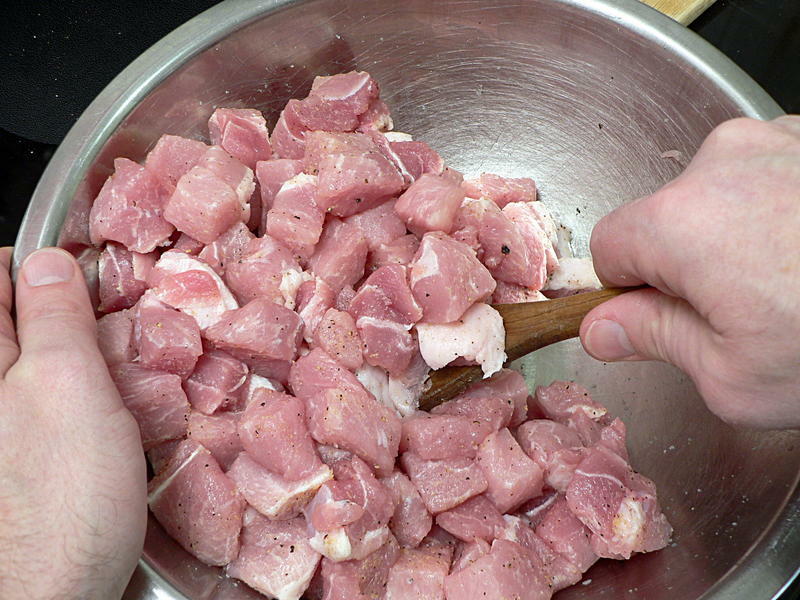 Serve with a variety of dips, like BBQ sauce, ranch, or cool pea dip. Yes, I invented the word “dipable”. BOOM!